You are here: Home / 2016 Show Archive / Animals Today February 13, 2016: What’s causing whale strandings in the North Sea? 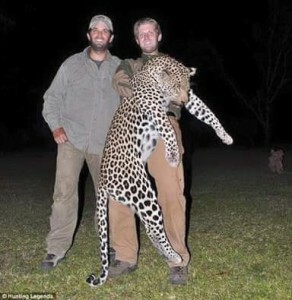 Trump’s sons are hunters. Dental hygiene for dogs. So you’ve found some cats: now what? Bad flu affecting dogs. World Council for Nature. Mark makes a strong case that infrasonic noise emitted from offshore wind turbines, as well as the noise associated with their assembly, are causing sperm whales to become stranded on beaches in the North Sea. Lori then describes the hunting activities Donald Trump’s sons, Eric and Donald, Jr.
Then we move on to dental hygiene in dogs, with a personal story of why it is so crucial to regularly brush your dogs’ teeth. Next up is Peter Wolf, Cat Initiatives Analyst with Best Friends Animals Society. Peter provides solid advice on what to do if you encounter one or more feral or free roaming cats. Finally, Dr. Robert Reed updates us on the new potent strain of influenza affecting dogs around the country. Reed is Medical Director of VCA Rancho Mirage Animal Hospital, in Rancho Mirage, California. Well said Mark. This is bound to be a contributory cause. Another is the need for urgent research into water contamination from toxins in the run off from the construction of wind turbines – into the sea. Cadmium, arsenic etc., are just two involved. See http://www.windsofjustice.org for these matters on land. It is clearly a wider problem than originally thought now that these toxins are finding their way into the sea. Fish too will be affected which are part of the food chain not only for sea mammals but ourselves too. We must all thank Mark Duchamp for his clear explanation for the stranding of many sperm whales in the heavily built out off shore wind power locations off southern Britain. If the media repeats the concocted lies of the wind power industry, the public, and certainly, the politicians will never learn the facts. Write and call your representatives. Tell them to wake up! I invite people to look at the new evidence.